The Gardening society meet on the second Thursday of each month at the Cropwell Butler Village Hall at 7.30 and meetings normally last about 2 hours. We organise a calendar of events which include guest speakers and demonstrations typically during the winter months and private viewings of local gardens in the evening during the summer months. In addition we have an annual coach day out which normally takes place in July and involves taking in 2 spectacular gardens with lunch in between. We are always looking for new members who are made to feel very welcome, no gardening experience is required. Why not come along? Booking required as we aim to run small classes for individual attention. Yoga classes are held in the Village Hall every Monday afternoon between 3.30pm and 4.30pm. Yoga is a great way of increasing your flexibility and can benefit people of all ages and abilities. Its also great fun. We currently have spaces available and everyone will be made to feel very welcome. 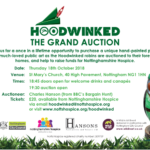 To find out more please contact Catherine Evans on 0115 779 0274. The twice monthly get together over coffee and cake is going from strength to strength. An eclectic mix of old and young ladies and gentlemen continue to get together to enjoy a chat and a bit of home made treat-ery with no other agenda than the desire for light hearted company. 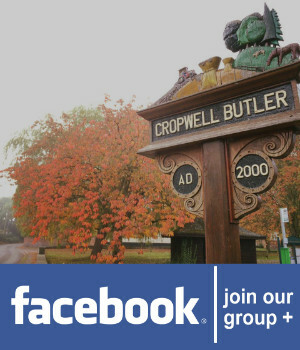 We meet the 1st and 3rd Tuesday of every month at the Cropwell Butler & Tythby village Hall from 10.30 - 12.30. Please just turn up all very welcome. The bowls club meet during the summer months, April to September at Barnstone Bowls Club. The club moves indoors during the winter where they meet every Thursday evening at the Cropwell Butler and Tythby Village Hall from 7.30-9.30pm. Meets every 5/6 weeks at The Plough to review a book of there choosing over a glass or 2.